The small existing balcony provided very limited outdoor living space for enjoyment of the new swimming pool. By extending the balcony as opposed to building a roofed patio cover, we doubled the square footage of living space. 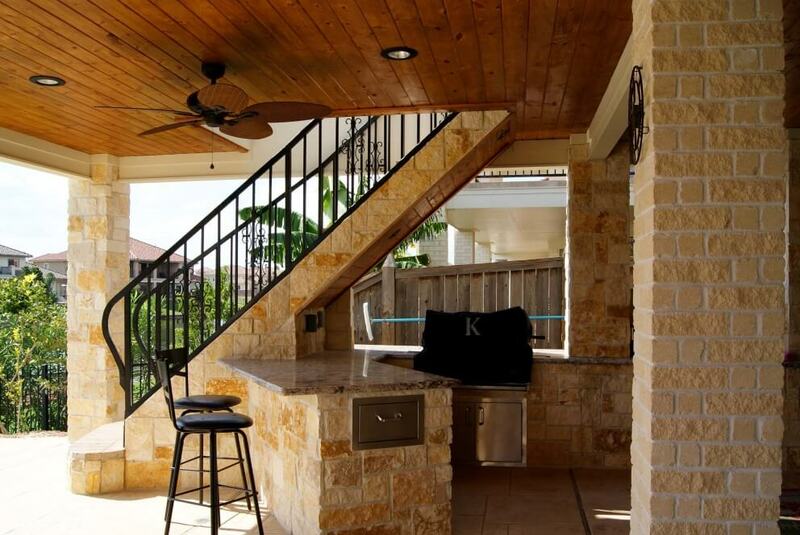 A functional and attractive outdoor kitchen blends great with the impressive stairs. The abundant use of Austin limestone provides a great complement to the home and pool. 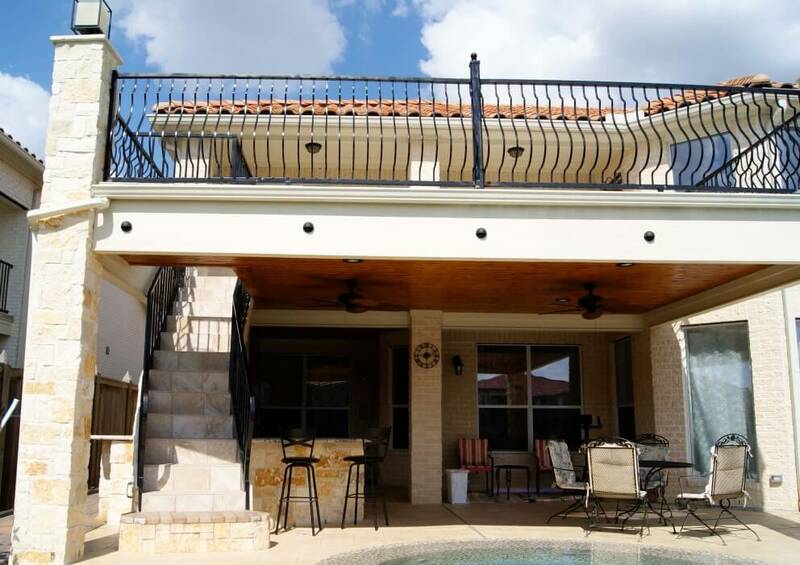 A balcony provides double the outdoor living space of a traditional patio cover. The balcony surface is finished in tile and the wrought-iron railing is anchored by stone columns topped by gorgeous lights.